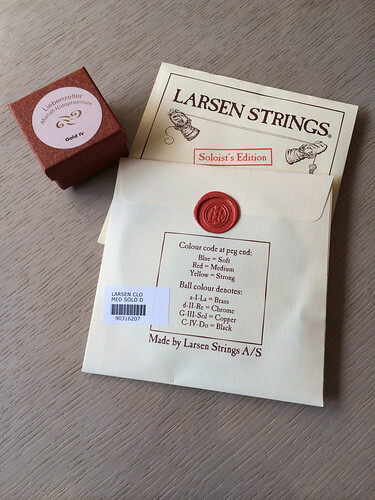 It came with Larsen medium on A and D.
I tried some other strings but I miss the original sound of it so I went back to Larsen, this time their Soloist’s edition! The nice sound of it attracts me to practice more! This entry was posted on	December 7, 2013 at 6:17 pm	and is filed under Uncategorized.